The ANC are questioning why the DA did not annul the contract when they took over the municipality. 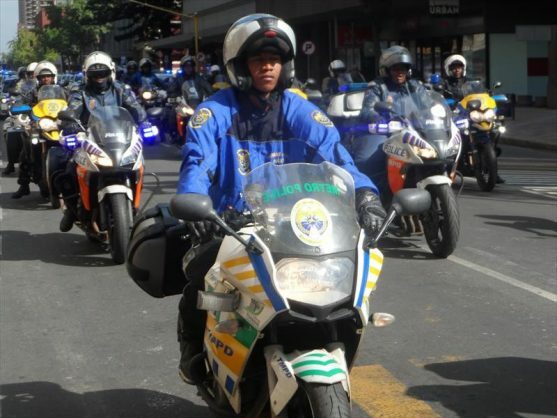 The Tshwane metro has been paying more than R300,000 a month to lease 44 motorbikes for the TMPD since 2016, at a cost of R7,815 each, reports Pretoria North Rekord. Metro spokesperson Lindela Mashigo said the agreement was entered into in 2016 by the ANC administration. But the party, now the opposition, has questioned the deal, saying it should have been annulled “as it was corrupt”. “Another absurdity is that the metro police hires motorbikes instead of buying them, and at twice the normal rate – a horrible corrupt activity. “To date, the metro has paid R4,470,277.24 on the contract, which is for a period of five years and in totality will set back the metro over R20 million,” the DA said. Tshwane ANC spokesperson Bafuze Yabo told Pretoria North Rekord he doubted the contract was entered into by the ANC administration. He questioned why the DA had not dealt with the contract. “Who is benefiting from it from the current government? It’s almost three years now that they have been in government, it’s an excuse that does not hold water,” said Yabo. “You are in charge of the government for three years, someone raises an issue around a contract that is exorbitant, why are you not regularising that contract and ensure that a new one is put in place to charge normal rates. “Why keep the one where double the amount is paid? We are no longer in charge, so what is keeping the contract alive. “The same way they removed Peu (electricity metres contract) is the same way they should have done with this one, the question is why keep it alive for this long. He said even if it was instituted when ANC was in power, “we will still challenge its wrongness”. The ANC has also questioned the training of metro police recruits in Cape Town. Community safety MMC Karen Meyer said it was “a very small number” of the overall intake that had been taken to Cape Town. She said the group of 185 trainees had actually passed the 12-month traffic officers course, but had not completed the SAPS law enforcement course, which was six months. “The decision was made by the city to train this group and the department had to comply (within the legal boundaries of course). “It was decided that these trainees sleep in while undergoing training. “The idea behind this was to change the person from a civilian to a police officer, better discipline and camaraderie, which is a noble idea as neither TMPD nor the city have sufficient facilities to actually do this. Meyer said the TMPD did not have the funds to execute the project and special permission was granted to transfer funds from CCTV to different line items to cover this cost. She said the project amounted to just over R12 million.